As we consider the current state of our world and the spiritual battles raging around us, we cannot deny that we desperately need revival. The urgency of the hour calls upon us to fervently cry out to God on behalf of our ourselves, our families, our communities, our nations, and the church. We must ask the Father to bend the church and save the world, once again. We must understand our deep need to present ourselves to the Holy Spirit, asking that he prepare our hearts for revival, and bring us into alignments with His will as He pours His Spirit out on the earth in the last days. Only when we ask that He begin a refining work in us, will we see revival come to our homes, churches, and nations. Unite your prayers with us in seeking God for a fresh wind of revival. Humbly call upon the Father, asking Him to forgive and heal us. Thank Him for His promise to do so (2 Chronicles 7:14). Pray for those you know who have become weakened, lost, and fallen into fear, disbelief, and trouble, pleading for their restoration and healing (Psalm 138:7, 8 and 73:23–26, 28). Ask God to send a refining fire to cleanse us of anything that is hinders His move. Name specific obstacles to revival and ask Him to crucify our sinful nature such as sexual immorality, idolatry, hatred, discord, jealousy, and harmful addictions of any type (Malachi 3:1–7; Titus 2:14; Galatians 5:21). 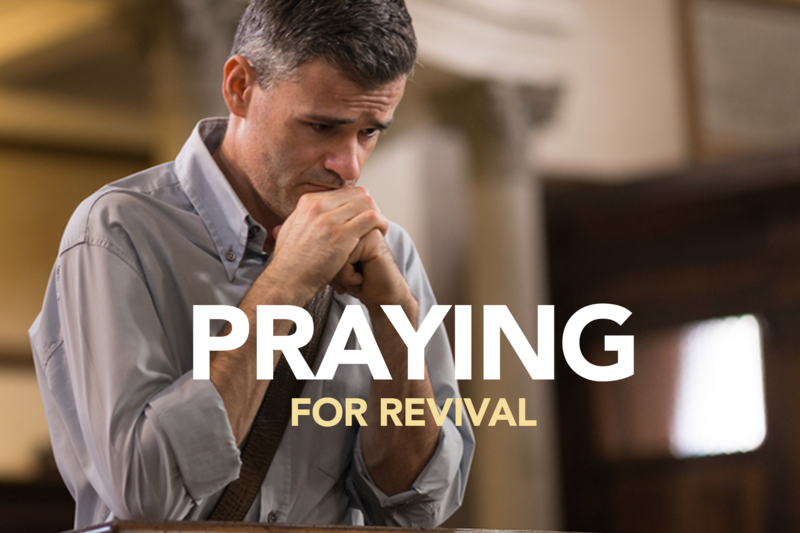 Ask the Father for a revival of His Word in our personal lives and the pulpits of our churches that would revive hearts and save wicked souls (Psalm 19:7). Ask the Father to create in you a clean heart and renew your spirit as you depend on Him alone as the source of revival (Psalm 51:10). Ask God to send a fresh anointing and renewed birth of the fruits of the Spirit in your life and the church (Galatians 5:22, 23). Pray for the church to be filled with the presence of God’s Spirit. Pray that you would be filled with the Holy Spirit so that you will be empowered to be a witness and do His work (Ephesians 5:18). Intercede for the lost, that they will be drawn out of spiritual darkness and find freedom in Christ (John 6:44).